Looking for the best food processor? You’re at the right place. 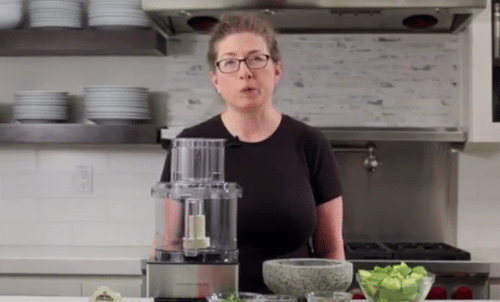 Here on Kitchen Kickstart you’ll find unbiased food processor ratings and reviews that will help you to choose the right food processor for your needs. Food processors have become one of the most popular kitchen appliances around in recent years. They help to take the hard work out of repetitive cutting, chopping and mixing tasks. They are time savers that can make food preparation a lot simpler, but you have to know what you’re looking for to get the best food processor for your own, individual needs. Here are some things to keep in mind as you shop around for the best food processor on the market. A food processor is a popular kitchen appliance used to cut large ingredients into smaller portions. Generally, these machines feature a large container (often referred to as a bowl) with a blade at the bottom. This blade can be switched out for other attachments to handle tasks like, slicing, dicing, mixing, or even kneading dough. Foods like vegetables and fruits are added into the bowl either by opening the top cover or by pushing them through a feed tube. Food processers save on time and hassle by completing the sometimes lengthy task of chopping fruits and vegetables in a much quicker way than what can be done by hand. Standard Food Processor: A standard food processor is designed for moderate home use. Expect a processor of this type to come with a work bowl that can hold eight to fourteen cups. It will likely have several attachments that can be switched out to take on a number of tasks. Fruits, vegetables, meats, and dough can all be handled by the best food processor easily. Mini Food Processor: Not all kitchens require the cup capacity a standard food processor gives. In this case, a mini food processor is very useful. The major difference between the two types of appliances is the bowl size. Generally, a mini food processor will hold between three and six cups of food. Combo Food Processor and Blender: Some food processors will come with the ability to be switched with a blender. Both the food processor’s bowl and the blender’s pitcher will fit onto the same motor. This type of appliance can be convenient for those short on counter space or those who like to have two functions in one machine. Bowl Size and Capacity: The amount of food you need to process at a time should be taken into consideration when selecting the best food processor. If you routinely cook large meals, a large bowl will be of use to you. There are food processors available in sizes as small as 2 cups all the way to sizes as large as 22 cups. The average, household food processor is usually between 4 and 11 cups in work bowl size. Keep in mind how much volume you plan on using on a daily basis when you purchase your food processor. It’s always best to err on the side of additional workspace, just in case, so buy a model with a slightly larger bowl when possible. Motor Quality and Processing Speed: A high-quality motor is a necessary feature of the best food processor. The best food processor should offer multiple speeds, with 10 speeds being very typical. There are also models that only have one processing speed. You have to decide how involved with chopping you need to be, before you decide whether or not you need a model with tons of speed options. Many common tasks only require one speed, so the extra controls never even get used. However, if you are a gourmet cook and want more control over the consistency of the foods you chop, you may want to opt for a model with the extra levels of control. Number of Bowls: A handy feature is a food processor that comes with several bowls that nest inside each other. 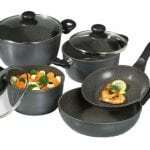 This allows you to prepare several different foods without having to wash out the bowl each time. Pulse Control: Consider choosing a model that comes with an on/off button that allows you to pulse the machine until the desired consistency is achieved. Size of Feed Tube: Some food processors have feed tubes large enough to fit a whole potato or onion through, while others require vegetables to be halved or quartered before they can fit in the machine. Decide how much prep work you’re willing to do before making your choice. If you plan on doing a lot of big, bulk chopping jobs, the larger sized tubes are going to be important to you. If, however, you don’t mind chopping some of the foods down to smaller sizes before you put them in the processor, you are safe getting a model with a smaller feed tube. If possible, though, get a model that has multiple feed tubes, specific for different tasks. Ease of Cleaning: Many of the best food processors come with detachable parts that are dishwasher safe. Those that do not are sometimes difficult and time-consuming to clean. Don’t underestimate cleaning time and hassles. This is often mentioned as one of the main reasons why once someone gets their new machine, they barely use it. Number of Attachments: If you plan on using your food processor for other tasks (such as kneading dough), make sure that the device comes with the tools you need. Weight: Some food processors can be very heavy. If you’re planning on moving your appliance often for storage, consider getting a smaller, lighter model. Color: You may be able to choose the color your food processor comes in. If the color of your appliances matters to you, keep this in mind when making your choice. This machine makes every meal so much easier. First of all, it’s big: the largest bowl holds up to 14 cups. It also comes with two nesting bowls – a 11 cup and a 4 ½ cup. Each bowl has a finger grip and spout for easy pouring. The blade locking system means that I don’t have to worry about sharp objects tumbling out when I pour. I love the wide mouth feeding tool – no more having to chop up my ingredients beforehand! 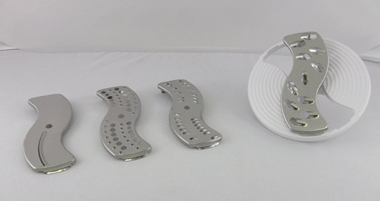 The Cuisinart Elite comes with a bunch of different discs and blades. There’s a stainless steel slicing disc, a shredding disc, a dough blade, and a chopping/mixing blade. They all fit neatly into the included accessory storage case. All of the parts are dishwasher safe. There’s even a retractable cord to help keep the area behind your processor from getting cluttered up with unnecessary wires. The entire machine is designed to take up as little space on your counter as possible. Of course, I wouldn’t mind if it took up half of my counter space because I use it all the time! Nesting Bowls: I love these bowls! It really throws off my stride if in the middle of preparation I have to stop to clean out a bowl. Having three nesting bowls of different sizes lets me start with the smallest and work my way up. That way I know I’ll always have a bowl that will be big enough to fit my needs without having to stop in the middle to clean. Wide Mouth Feeding Tool: Food processers are supposed to make cooking easier, right? So what’s the point of having one that forces you to cut up your food beforehand? The feeding mouth on the Cuisinart Elite is big enough to handle just about anything, so you don’t have to “pre-chew” the food for it. This saves on time, energy, and (at least in my case) a whole bunch of frustration. Great Variety of Tools: This food processor was a bit of a stretch for my family’s finances, but the variety of tasks it’s suited for has made this investment worth it. Being able to use it to shred, slice, chop, and deal with dough has made it indispensible in the kitchen. We’re able to do everything we need without having to buy a separate machine, which saves us money in the long run. Dishwasher Safe: I love cooking with appliances like food processors, but I just hate cleaning them out. Cleaning’s a breeze with this food processor, though. Since all the parts are machine washable I just pop them apart (a task that’s simple to do, by the way) and put them in the dishwasher. Just another hassle this machine saves me from! Large Size: I’ll admit I was a little shocked when we got this home. I was expecting something a little smaller and a little easier to move. My advice would be to find a spot on your counter where it will fit and just leave it there. Trust me – you won’t want to tote it around your kitchen every day. Price: As I mentioned before, this was a bit of an investment for my family. It’s not the cheapest food processer on the block, but when you take into account everything it can do for you the price becomes worth it. Yes, you can get a cheap model and save on money, but my guess is a low price, low quality food processor won’t be able to do a quarter of what the Cuisinart Elite can do. Feeding a family of five can be a bit of a struggle, but the Cuisinart Elite Collection Food Processor has given me a much-needed advantage. Whether it’s whipping up pizza dough or chopping vegetables for a salad I can get my prep done in a fraction of the time it takes me to get things done by hand. The nesting bowls are a great convenience, as is the wide mouth feeding tool. Even though it’s a bit of a monster on the counter top it’s designed in a way to take up the smallest amount of space that it can. It’s a well-designed, high quality machine that’s helped make countless meals easier. I’d definitely recommend it to anyone who wants to cut down on dinner-time hassle. Grab This NOW and Get It Delivered Right To Your Door! I love how the Braun K650 gives me lots of choices when it comes to speed. I’ve seen a few food processors that pretty much have a stop and a go, and that’s the only choices you get. With the Braun CombiMax, I have 10 speeds to choose from. Let’s face it, I don’t want my onions diced the same way that I want carrots chopped. It’s nice having options and this food processor has plenty of them. I can decide how finely I want food chopped and not have to worry about over-chopping or under-chopping. I get it right every time at the push of a button. The Braun Food Processor has plenty of power. Now, I’m not an expert on electric motors, or any motors for that matter, but I do know that my food processor never bogs down when I am using it. The motor on this food processor allows the blades to easily chop, slice or puree anything I throw its way. Of course, it’s not an industrial strength model built for professional chefs, but it is enough to handle all of my day-to-day cooking for a family of five. processor, I got a cream propeller whipping tool, stainless steel shredding disc and slicing disc too. Mess-Proof Design: The Braun K650 CombiMax Food Processor is built to take care of all kinds of chopping, slicing and dicing, but it never makes a big mess in my kitchen. The unit seals tight, so I never have any spills or food flung all over the kitchen. Electronic Overload Protection: It’s always nice to have safety features on appliances. The Braun K650 has electronic overload protection which keeps the motor from being damaged if it gets over-worked. Dull Slicing Disc: The slicing disc doesn’t seem to be too sharp, and that keeps it from slicing as finely as I think it should. Takes up a lot of space: Kitchen counter space is at a premium in my house, and this food processor is not a tiny little model, so I have to clear space when I use it. I get a lot of meals prepared and cooked a lot faster, now that I’m using the Braun K650 food processor. Even though it’s a big appliance, and I don’t have a lot of extra space on my counters, I don’t mind making room for it when I’m ready to start making meals. It works well and saves me enough time that taking the extra time to clear some space for it, is time well spent. For cooks in need of more time to feed hungry troops, this is a great food processor to have in your kitchen. 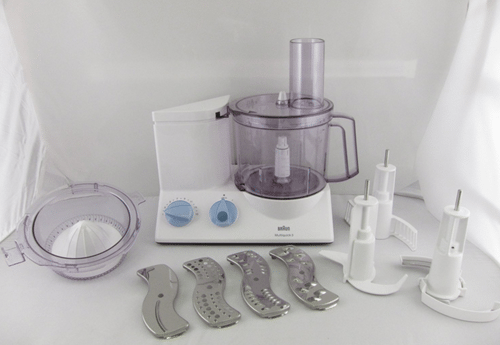 Get Your Own Braun Food Processor And Make Your Life EASIER! I couldn’t think of any other way to start my Cuisinart DLC-2 Mini Prep Plus Food Processor review, except to say, “Good things come in small packages.” Hey, what do you expect? I’m a busy wife and mom, so I’m too busy to come up with creative openings. That being said, the Cuisinart DLC-2 Food Processor, really is a great little tool for busy at-home cooks. It is not a big model that slices, dices, mixes, blends and all that other stuff. It is, though, a powerful, compact food processor that is great for helping with everyday food preparation and simple, small chopping tasks. I have used a blender for years to make homemade mayonnaise and salad dressing. I always hated the fact that I had to use my big, loud blender, simply to mix up small batches, and that’s what ultimately led me to buy the Cuisinart DLC-2 Mini Prep Plus Food Processor. I’m able to quickly whip up my concoctions in the kitchen, without dealing with a big blender, that is truly a pain in the neck to clean up. I pop the ingredients in my mini food processor, hit the button and have mayonnaise or salad dressing in just a few minutes. The blender has been in semi-retirement since I got this Cuisinart food processor 6 months ago, and may never see the light of day again. I love making food, but am not a big fan of clean up time. There just aren’t enough hours in the day for me to deal with the clean up involved with big food processors. That was another determining factor for me when I bought the Cuisinart DLC-2 Mini Prep. I can easily chop foods, or make a quick batch of salad dressing and then clean this little appliance up in just a few minutes. With the blender I used to use, clean up was a hassle, and with some of the bigger food processors, clean up looks way too involved. The Cuisinart DLC-2 cleans up in a snap, so I don’t have to waste too much time doing dishes. Just big enough for everyday food prep. I’m not a master chef, and only need to use my food processor for simple, focused food preparation. This model is built with simplicity in mind. Easy Operation. There aren’t a ton of settings to choose from, so I don’t need to do anything, except load ingredients and push a button. Compact Size. My kitchen gets cluttered enough already. The Cuisinart DLC-2 Mini Prep food processor is so small that it barely takes up any counter or storage space. Shredding can be messy. I have tried shredding cheese several times, and this food processor crumbles the cheese or clumps it all together. It just doesn’t shred well. It is loud. The first time I used this food processor, I was shocked that something so small could be so loud. I don’t need ear plugs or anything, but I was taken aback at just how noisy this little powerhouse is. I don’t even try to shred cheese with this food processor anymore, and always wince in anticipation of the loud operation, but I still use it virtually every day. The Cuisinart DLC-2 Mini Prep food processor is a small, simple kitchen tool that is made to help with everyday chopping for food preparation. I don’t have to use a knife and a cutting board for chopping vegetables, and I can easily mix up home made toppings without any problems. For routine preparation tasks, the Cuisinart DLC-2 Mini Prep can’t be beat. I love cooking for my family, and I know that without my Cuisinart DLC-2014N PowerPrep Plus 14-Cup Capacity Food Processor I’d be wasting a lot of time on prep work. This machine is built to handle anything a family can throw at it. The 14 cup bowl is more than enough to hold two pounds of meat or three pounds of bread or cookie dough. Whatever I choose to put in it is quickly and efficiently prepared by the slicing and shredding discs. I especially love what it can do with dough – the PowerPrep metal dough blade has helped me make some of the best bread in the neighborhood. The touch controls let me determine if I want the machine to chop or knead. Once I’m done, clean-up is easy. The round shape means there are no corners for gunk to get stuck in, and all detachable parts are dishwasher safe. The PowerPrep Plus is well equipped to deal with anything I need it to without taking up most of my counter. Huge Bowl: My last food processor had an 11 cup bowl, and I was constantly dealing with spills and leaks from it being too full. Those three extra cups have made a world of difference. I haven’t had any overflow issues since I made the switch. PowerPrep Dough Blade: What’s better than the smell of fresh-baked bread? Nothing. I love cooking bread for my family, but I hate having to waste time kneading the dough (and then scrubbing the extra flour off my arms!). The PowerPrep dough blade makes it that much easier to keep my family fed. Instead of only being able to bake when I have the time, I can throw all the ingredients in the food processor and let the machine do the work! It’s much easier to clean up after, and the dough always comes out perfectly. Large Feed Tube: My family loves Mexican foods, so I often find myself needing chopped vegetables for fajitas. The large feed tube that comes with the PowerPrep actually lets me fit small onions and peppers into the machine without cutting them. At most I cut them in half before I throw them in. This has saved me so much time (and tears, when onions are involved) over the past few years. Easy to Clean: Appliances are never fun to clean, but the PowerPrep makes this necessary evil a bit more tolerable. I love the round sides – there’s really no place for gunk to hide. All the detachable parts get thrown in the dishwasher, and I’m done cleaning in just a few minutes. No Blade Holder: The package doesn’t come with any sort of device to hold onto your blades when you’re not using them. These blades are sharp, so it can be dangerous to have them just hanging around in your kitchen (especially if you have kids). Of course, sharp blades mean well-cut food, so it’s a bit of a trade off. As long as you keep them out of reach of small fingers there shouldn’t be a problem. Short Power Cord: The cord on this food processor isn’t that long. You have to keep the machine pretty close to the wall (which puts you at risk of splatter). This hasn’t bothered me too much as I haven’t had many splatter problems with this machine, but keep this in mind when trying to figure out how you’ll set it up in your kitchen. The Cuisinart PowerPrep has saved me so much time and hassle over the years. It has made food prep easy and fun without sticking me with a messy appliance to clean up after when I’m done. The blades and dough attachment can handle just about any task that’s put to them, and I love how large and sturdy the bowl is. My family and I recently added the Cuisinart Elite Collection Food Processor to our kitchen and I am never going back! This machine makes every meal so much easier. First of all, it’s big: the largest bowl holds up to 14 cups. It also comes with two nesting bowls – a 11 cup and a 4 ½ cup. Each bowl has a finger grip and spout for easy pouring. The blade locking system means that I don’t have to worry about sharp objects tumbling out when I pour. I love the wide mouth feeding tool – no more having to chop up my ingredients beforehand! The Cuisinart Elite comes with a bunch of different discs and blades. There’s a stainless steel slicing disc, a shredding disc, a dough blade, and a chopping/mixing blade. They all fit neatly into the included accessory storage case. All of the parts are dishwasher safe. There’s even a retractable cord to help keep the area behind your processor from getting cluttered up with unnecessary wires. The entire machine is designed to take up as little space on your counter as possible. Of course, I wouldn’t mind if it took up half of my counter space because I use it all the time! When the food processor my husband and I received as newlyweds gave out, I knew I had to get another one quickly. After some research I decided on the Cuisinart DFP-14BCN 14-Cup Food Processor. It seemed like the right mixture of quality, attachments, and price. I really think I made the right choice! First of all the 14 cup Lexan work bowl has more than enough room to handle any task I need it to do. The extra large feed tube saves me time and effort that I would otherwise have to spend on pre-chopping my ingredients. I love that there’s an on/off pulse button that lets me choose how fine I want my food to end up being. The five basic attachments that are included with the machine allow me to chop, shred, slice, mix, and knead. 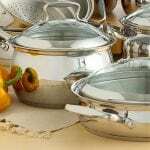 The parts that get messy are all dishwasher safe, which eliminates the hassle of after-dinner scrubbing. The Cuisinart DFP has everything I’m looking for in a food processor, and it does it all perfectly. Feed Tube Options: Not all food processors are built to handle a whole potato, but this one is! I like that I have options when it comes to my feed tube size. The extra large one is big enough to work with a whole potato (and not a small one, either), while the smaller option is great for all those little things. I’m able to save on time and hassle by being able to choose the right size for the task. Dishwasher Safe: The only thing worse than having to hand clean a food processer is having to hand-chop all of your ingredients. With my Cuisinart I don’t have to make that choice. All of the pieces are dishwasher safe, which significantly cuts down on the amount of work I have to do after dinner. Great Assortment of Attachments: I get the feeling there isn’t much the Cuisinart DFP can’t handle. The attachments that come with it make it really versatile. Whether I need to shred, mix, slice, chop, or knead there’s a tool to help me do so. On/Off Pulse Button: I’ll admit I’m a bit of a perfectionist when it comes to cooking. I think the appearance of a meal is just as important as the taste. That’s why I love that my food processor has an on/off pulse button. It lets me have control over just how finely the machine slices and dices everything I put in it. Difficult to Store: This appliance has a bit of an awkward shape to it – squat and wide on the bottom and more slender on the top. That fact combined with its heavy weight make it a bit of a pain to store. Whenever I tried I found that I just ended up giving up and keeping it on the counter. Of course, I use it so often that this has turned out to be the most sensible solution anyway! Difficult to Assemble: I found this machine a little difficult to get assembled. It wasn’t the most instinctive set-up process, and there weren’t any written instructions that came along with the package. However, there was a set-up DVD included, and after watching that I was able to get the pieces together without too much trouble. I’ve been a fan of Cuisinart for as long as I can remember, and this food processer is a great replacement for our old one. It’s powerful, has a great selection of attachments, and has a big enough bowl to handle just about anything we need it to do. It’s exactly what I’m looking for in a food processor without being bogged down in bells and whistles. If you’re looking for an appliance that’s \”just right,\” you’ll love this one. Mini food processors can range in size usually from 2 to 6 cup capacity. 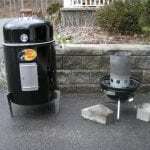 Smaller versions are often referred to as \”choppers\” or \”grinders\”. The motor in these compact processors is smaller than their standard sized counter-parts so the speed selection is usually less. Most mini processors have 2 speeds but some have more. Mini food processors are rarely one foot in height and are usually less than a foot wide. They require very little counter space which makes them a popular choice for people with cramped kitchens and few clear surfaces. Styles may vary and there are some mini food processors that are designed in the same fashion as standard ones only smaller. There are some mini food processors that are hand held and can shoot the prepared ingredients directly into the serving dish, pot or pan. I’m not one to run right out and get the latest kitchen appliances. Even though I cook at home every day for my husband and two daughters, I still like to do most of the preparation and cooking by hand. I did, however, finally get fed up with chopping ingredients day in and day out, so I finally decided to get a food processor. I looked around, read some reviews and bought the Cuisinart DLC-4CHB Mini-Prep Plus 4-Cup Food Processor. Granted, there are bigger food processors out there, but I wanted one that didn’t take up too much space, and simply helped out with small chopping and mixing jobs – both of which the Cuisinart DLC-4CHB Mini-Prep Food Processor does without a problem. I use my Cuisinart Mini-Prep just about every day, but I don’t have to worry about giving up valuable counter space. This model is very small and compact. I keep it stored in an overhead cabinet, and when the time comes to use it, I don’t have to worry about using up what little counter space I have. Once I’m done, I clean it up, put it away, and it’s out of sight out of mind. Some food processors that I looked at are major appliances, that are pretty darn big, I guess that’s find for some people, but for me, the compact size of the Cuisinart DLC-4CHB Mini-Prep Plus 4-Cup Food Processor works just fine. Even though the Cuisinart DLC-4CHB Mini-Prep is small, it still packs a powerful, little punch. I used it most of the time for vegetables and grating cheese, and it takes care of those types of foods quickly and with no slow downs or jams. I decided to really put this food processor to the test and grind up some nuts for a cake topping, and was pleasantly surprised to see it whip right through the nuts, just as easily as it chops up an onion or a pepper. I don’t know how much power this little motor has, but it is certainly enough to handle every ingredient I have ever thrown its way. Auto Reversing Action. The blades move in one direction to chop and another to grind. This feature gives the Cuisinart DLC-4CHB added versatility for different types of preparation steps. Easy Locking Cover. The cover locks into place easily, which prevents mess and ensures safe chopping, grinding and overall food processor use. Easy to Store. Like I said earlier, this model is easy to put away when you’re done. It does it’s job without hogging too much counter or cabinet space. Not built for larger recipes. The 4 cup work bowl is great for small, everyday meals, but it simply isn’t enough for larger recipes that call for lots of chopped ingredients. You can still prepare larger recipes, but it gets tiresome and is better suited for larger food processors. Almost too lightweight. I didn’t expect this food processor to be heavy, but it is so light, that it feels almost flimsy at times. It works fine, but it just doesn’t seem as solid as it should be. The Cuisinart DLC-4CHB Food Processor, to me, is all about function over form. 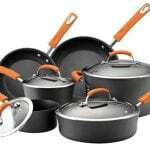 It is small, chops well and grinds well without taking up too much space. It is not as versatile as larger, more expensive models, but it does what it is supposed to do with minimal fuss. I can’t use it to easily make large recipes, but for everyday cooking for me and my family, it does a great job. Any kitchen can benefit from the addition of a food processor. Whether yours is the ultimate bachelor or bachelorette pad or the home of a large, hungry family, a food processor can bring convenience and polish to cooking. When shopping for a food processor to augment the kitchen appliances, size will be an important consideration. 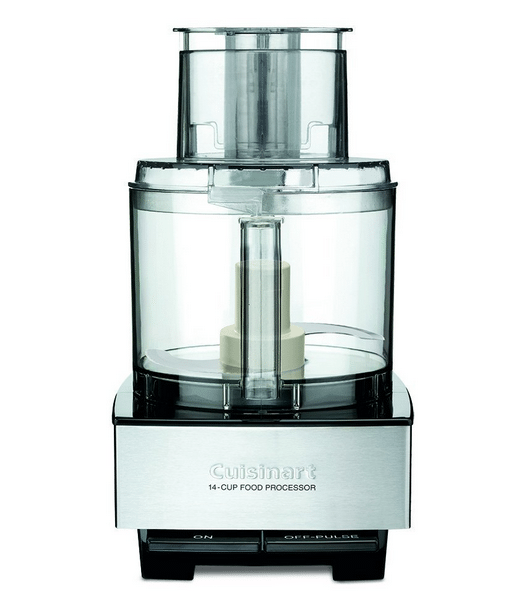 Cuisinart: Cuisinart offers a wide selection of food processor that set the standard for home appliances. Expect to find high quality machines that offer all the basics without gimmicky bells and whistles. Euro Pro: If you’re looking for something innovative and interesting, consider Euro Pro’s line of unique food processors. 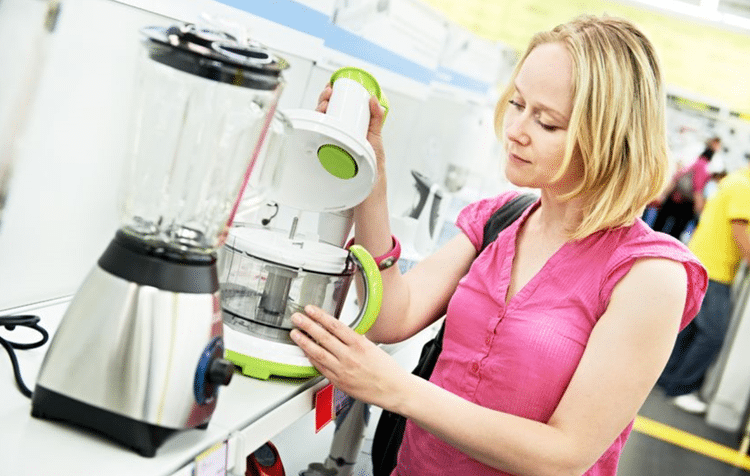 You’ll find aesthetically pleasing appliances here, including some combination food processors and blenders. KitchenAid: Much like Cuisinart, KitchenAid offers a nice selection of standard food processors. 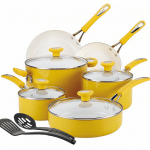 They have a reputation for high quality products that will hold up well to a moderate to heavy amount of home use. Black and Decker: For heavy duty, high quality food processors, take a look at Black and Decker. Their appliances are built to last and feature a solid-looking design. Hamilton Beach: If you’re looking for something more lightweight, Hamilton Beach may have what you desire. Their food processors are lighter, take up little space, but are still up to whatever food processing task you set them to. Which of the brands produce the best food processor? That really depends on your specific food processing needs, although many users swear by Cuisinart food processors and KitchenAid food processors, both of which are very long established reputable brands in the kitchen appliance industry. In the end, you want a chopper that suits your kitchen’s design, is the right size and has the options that you need. Don’t immediately get distracted by extras, concentrate on the basics. Keep work bowl size, speed options and feed tube size in mind and you’ll get the best food processor for all of your kitchen preparation needs. Of course, extras are never bad, but make sure that you have all of your basic needs covered before you decide on what, if any, extra features you need. Many home chefs have grown accustomed to having a food processor in their kitchen. Not only do these appliances save on time and hassle, they also guarantee a precisely cut, visually pleasing end result. While every food processor is different, each one gives the same result – the best food processor is one that produces an amazing meal and a happier cook. Standard Food Processor Features to ConsiderThere are many different variations of food processors but they all essentially serve the same purpose and share standard features. Generally all food processors have a bowl with a feed chute, blades, a motor and controls. The styles of these features can vary from model to model, but will be present in one form or another. When the size or capacity of a food processor is discussed, it is in regards to the bowl which catches the food once it has been run through the blades. For household food processors this will usually be between 2 and 6 cups. Commercial food processors require much more capacity and the bowl will have between 1.5 and 7 quarts. The exceptions to this feature are hand-held mini household food processors and continuous feed commercial processors. These two types are not equipped with bowls. The lids to the bowls on standard food processors have a chute or tube through which the food is fed and pusher to assist in getting the food down the chute and to the blades. The blades on a food processor are removable and are either positioned at the top or the bottom of the blade stem which is at the center of the bowl. Household food processors usually have one or two blade discs that can be used on both sides depending on the desired function. Blade discs fit to the top of the blade stem. Blades that fit to the bottom of the stem are usually a double curved blade with one on each side of the stem and sit inside the bowl. The food is placed in the bowl and these double blades rotate and cut the food as they go around. Food is pushed down onto the blade discs at the top of the food processor and the bowl catches the cut food. The power of the motor in a household food processor is measured in watts while it is measured in horsepower on commercial food processors. Standard motor power for the household food processors is between 300 and 700 watts. Commercial processor motors range between .5 – 2 horse power. The motor usually carries a warranty between 1 – 5 years. Generally, household food processors have between 2 and 7 settings. The processors with the most settings are usually the ones that double as blenders. Most processors have Hi, Low and Pulse settings. Pulse is usually the highest speed. Commercial food processors rarely have more than 2 or three settings. They are designed for higher performance and volume and strictly for solid food processing. Commercial Food Processors and Home Food Processors Whats the Difference? There are many factors that determine the appropriate choice between home food processors and commercial food processors. A commercial food processors is the best food processor for restaurants or professional kitchens by virtue of their higher volume capacity, speed and durability. Although these may seem like the desirable traits for any kitchen, home food processors offer more control and versatility than their commercial counterparts. Commercial food processors are also bigger than home food processors and usually require a permanent position on a strong table or counter top. 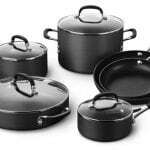 They are not as easily stored as home food processors due to weight and size. Home food processor receptacles usually have a capacity of 2-6 cups. The capacity of most commercial food processor receptacles ranges between 2 and 6 quarts. The larger sized bowl is accompanied by a larger engine, too. Engines in commercial food processors can range between on half to 1.5 horse power. They are capable of blade speeds of over 400 rotations per minute (RPM). This much speed and power takes some practice to learn how to control. It would also be wasted on most household kitchen uses. While most household food processors have one or two discs that are turned over to perform the shredding, grating or slicing, commercial food processors have separate discs for each function. These discs, like the bowl and entire construction, tend to be considerably larger than those found on household processors. Commercial discs are much sharper and are usually stored on a wall-mounted magnetic bar. In some commercial food processors, the disc stem is removable for easier cleaning. There are models of commercial food processors that are not equipped with a bowl or receptacle. These processors have a heavy-duty chute to dispense the processed food into a pan or bowl. These are usually the strongest of food processors and have the highest cutting speed. They also push the food out of the chute with strong force. Another major factor separating household and commercial food processors is price. While household food processors generally range in price between $20 and $100, commercial food processors can cost up to over $6,000. It is not that the commercial food processors are over-priced. They are priced in accordance with their capabilities. A food processor with a 1 horse power motor can chop or slice up to 990 pounds of food in an hour. This is a far cry from any task that would be required in a standard household kitchen. If it were not for electricity, we would still use antique food processors today. The innovations of chefs that made food preparation less arduous and time consuming are just as applicable today as they ever were and have been incorporated in the designs of many commonplace items currently in use. Culinary aficionados covet the relatively ancient inventions and even make use of them in their private kitchens due to their simple efficiency and as a tribute to chefs of the past. Antique food processors in one form or another can be found dating back as far as the eighteenth century although many of the designs are evidenced in twentieth century products. The best places to find these antiques are online or antique dealers. Most of us can remember a grandmother who ground her own beef. It was a common practice in the twentieth century. The design of the meat grinder is the clearest example of one of the original food processors dating back to the 1800s. The Universal Food Chopper was a device that attached to a table or counter by a vice at its base. At the top, it had a chute into which food was pushed down to meet with a cylinder of cutting edges or blades that was rotated by a large crank on the side. The chopped, grated or ground food would come out of a wide hole on the opposite side from the crank. There are also antique graters made in the same way which our current hand-held cheese graters resemble today. Some current electric food processors maintain the antique principles without the crank and with force enough to project the processed food from the hole. The nut chopper found on many pantry shelves is another example of an innovation that is still practical. Its design reflects the earliest food processor to incorporate a designated receptacle for the chopped food. The design dates back to the early 1900s. It had a wood handle and the simple design has lasted through the years although it was used for much more important food preparation when it was first created. The height of cooking luxury in the 1930s was the potato masher. The best way to envision it would be to picture today’s garlic press on a much larger scale. At about 10 inches long and with a sieve basket of 3.5 inches in diameter, it would almost effortlessly mash a boiled potato. Even though we have much easier way to mash potatoes, the design was obviously good enough to alter for the mashing of garlic.